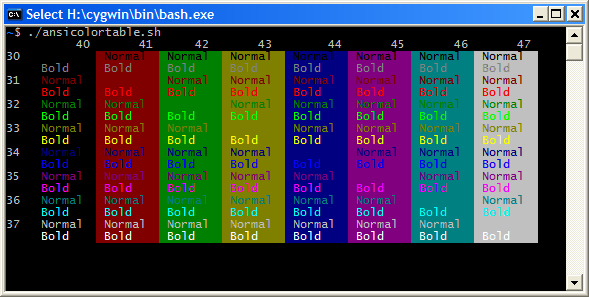 Microsoft is giving its Windows Console (Command Prompt) a color overhaul. Windows 10 testers will be able to try out the new color scheme in a new build (16257) that will available later today. Windows Console's legacy blue is getting a subtle change to make it more legible on modern high-contrast displays, alongside color changes to the entire scheme. It’s a minor change, but if you’re familiar with the Windows Console then it’s a welcome addition that developers have been asking for. It’s also a particularly relevant change now that Microsoft is supporting its own console alongside Bash, and another example of Microsoft paying attention to the small things that matter in Windows 10. Windows 10 testers will only see the new colors if they clean install build 16257, and if you upgrade you’ll keep the legacy colors to ensure any custom color settings are not replaced. Microsoft is planning to release a tool soon that will allow Windows 10 testers to apply the new color scheme and a selection of alternatives. Developers, you can thank Microsoft summer intern Craig Loewen for the overhaul.